There are so many easy to use apps for tablets that allow your students to make pictures talk- like ChatterPix Kids or FaceTalker- but what if you don't have tablets!? Maybe you've tried Blabberize? But seriously, have you ever been able to get the mouth right with that site? Finally, ABCya.com has created an easy to use, web based application called Talkify that makes your picture talk! 1. Choose one of the cute monsters or upload your own picture. Idea here: The picture you upload doesn't have to be a face! How about uploading or taking a screenshot of the student's work or writing and letting the mouth tell about the project or read the story? 2. Size your image and select and size the mouth. 3. Record! There is no official countdown of time, but it seems to be about 30 seconds of recording time. If you don't like it, there is a re-record option. 4. Save the video file to your computer or device. This is the only place that gets a bit tricky! I tried saving the video in 3 different web browsers. Only Google Chrome allowed me to actually save a video file. IE and Firefox both failed to save the file as a video. In Google Chrome, the file is saved in a .ogv file type which is NOT common. Most computers will NOT have a program installed that will be able to open and read the video file once downloaded from ABCya. However, if you upload the video(s) to YouTube or Vimeo, they play just great! The creation is SUPER EASY. Playback is more difficult, but DOABLE! Once your students have a basic understanding of area and perimeter, Chicken Corral is a great online resource to help your students practice their skills. This activity allows students to select a square, rectangle, or irregular shape to calculate the area and perimeter. The large, fun graphics are enticing for students and will engage them in practicing a real-world problem- building a coop for the adorable chicks! The activity indicates when correct answers are given. There is a built in HINT which explains HOW to solve the problem, but the game does not reveal the answer if the answer is given incorrectly over and over again. Reviewing Is Fun with Quizizz.com! 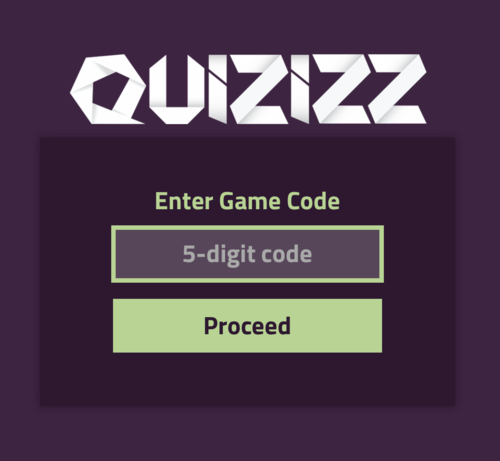 Quizizz.com is one of the newer gamified quiz platforms on the block. Your students will love the fun, fast-paced competitive style review. You will love the data you gather to know what to teach, review, or reteach for your students to be successful. 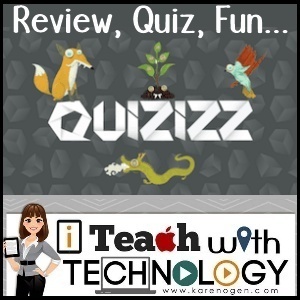 If you have used Kahoot in the classroom, Quizizz is similar. However, there are a few features of Quizizz that I like that Kahoot does not have. The first is that Quizizz is student paced. Each student answers questions on their own device, at their own pace. There is no waiting for each student to complete each question. The second is that the questions and answers both show up on the students device in Quizizz. Whereas, in Kahoot the student must look up at a screen or Interactive Whiteboard to see the question and answers that correspond to the color blocks on the student's device. Create a FREE quizizz.com account and you can get started right away by choosing from thousands of already created quizzes available in the public collection. Choose a quiz and you can play it immediately by clicking on Play Live!. Your students will go to join.quizizz.com and enter the game pin provided when you start the game. If a teacher finds a pre-created quiz they like in the public quizzes, the duplicate button makes it their own and also allows the teacher to make changes. Teachers can also choose to assign a quizizz as homework. This means that the quiz will stay live for up to 2 weeks and the students can log on with the pin at any time to take the quiz. Before starting you can also change the question settings and game settings to meet your student's needs. Students will each participate on their own device at their own pace within the given time per question set by the teacher in the game. If chosen, fun game music is played and memes are shown between questions. When students have completed the quiz, the teacher will be able to see a compilation of all results by question and by student. Give quizizz.com a try in your classroom and your students might even ask if they can review their facts again and again! 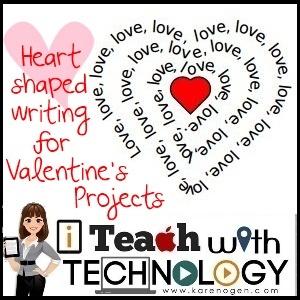 Are you looking for a fun Valentine's Day project that gets your students writing, too? Try one of these sites that will take your words and put them into fun shapes including hearts for Valentine's Day!